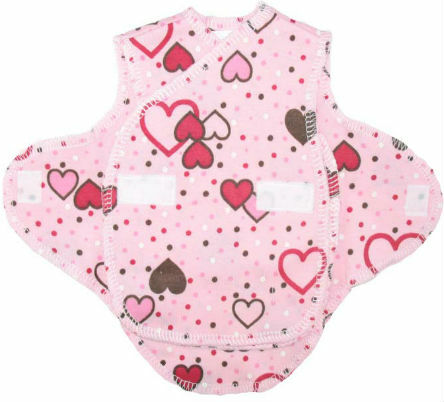 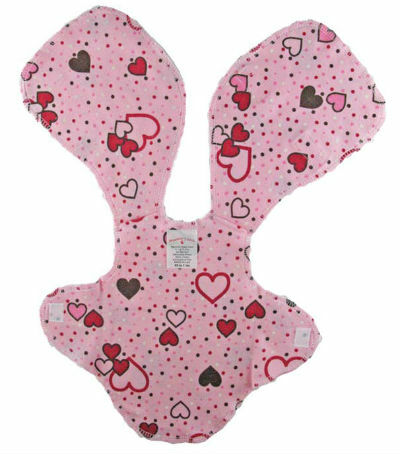 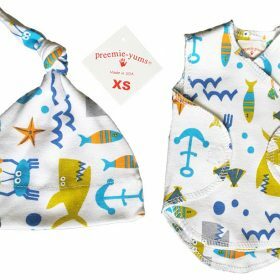 ‘Preemie Yums’ NICU Wrap Vest opens completely flat to allow for drips, monitors and easy access to your precious baby. 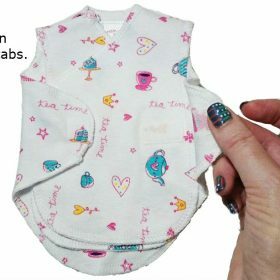 Front flaps open to allow access to your baby, on one side at a time, without removing the entire shirt. 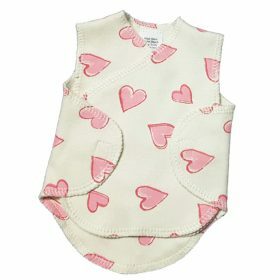 The shirt is fastened with soft velcro closures. 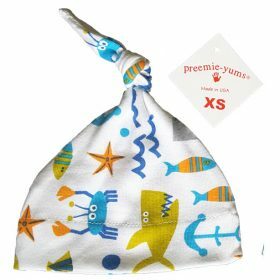 The little Knot Hat is made from the same soft cotton fabric to make a matching set. 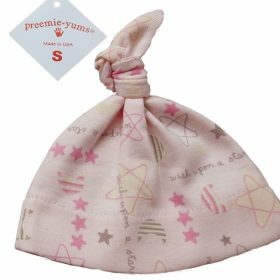 Cute & practical for your precious premmie baby.